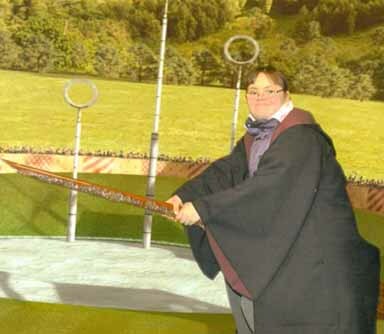 Our members and their families can enjoy various outings and activities throughout the year. 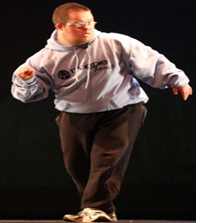 Celebrations is a club for adults with Learning Disabilities who enjoy meeting socially to develop their musical and theatrical skills. Experienced volunteers run it and it is held every Saturday at Carlton Road Day Centre, Sidcup from 11am to 1pm. Club members are offered a programme of projects, which aims to widen their theatrical and musical experiences and skills, usually culminating in a related performance to an audience. Last year we presented Cinderella and a Christmas show. Expert tutors are brought in to develop skills and past projects have included Vocal Tuition, African Drumming, Jive Dancing, Drama Workshops, puppetry and Magicians. 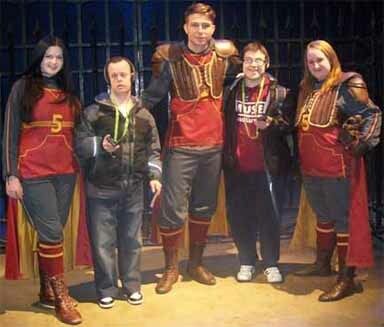 The Bexley Down’s Syndrome Group went on their annual outing at Easter to the Warner Brothers Studio near Watford to visit The Harry Potter Experience. 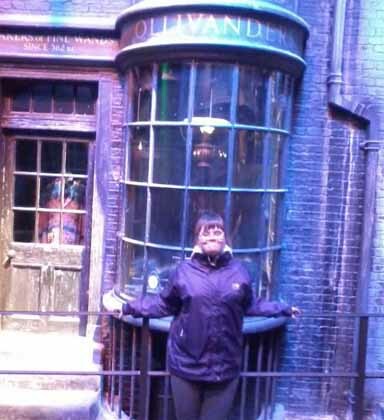 Everyone had a fantastic time they visited Gringotts Bank and Ollivanders, and walked through Diagon Alley some even got to ride in the Weasley’s car and fly on a broomstick, which was very exciting. 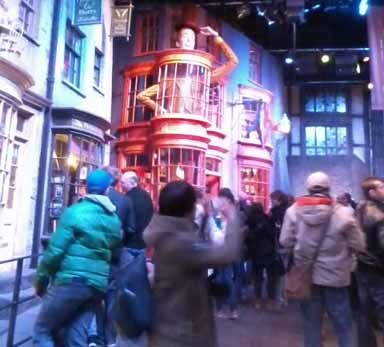 They were able to visit the creature effects studio and saw some of the props, costumes and film sets used by the actors during filming. 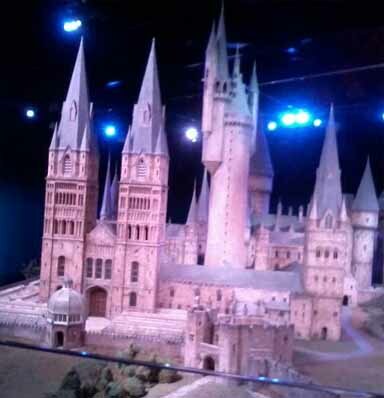 One of the most amazing exhibits was the scale model of Hogwarts which you could walk around and view from every angle. It was a very happy but weary group that made their way home at the end of the day. Pantomime: The annual visit to the pantomime is very popular for the young (and not so young) and is a great night out for the whole family. 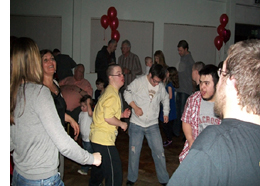 Family Disco: Our family disco is one of the eagerly awaited activities of the year and again provides a night of entertainment for the whole family. Our members particularly enjoy the dancing while their parents relax and chat. We hold a very popular raffle on the night and this helps swell our piggy bank a little bit. On the night a Buffet and bar are provided. 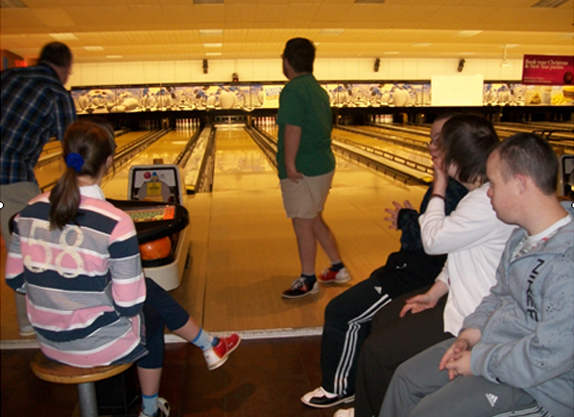 We visit our local bowling alley in the February and October half term. 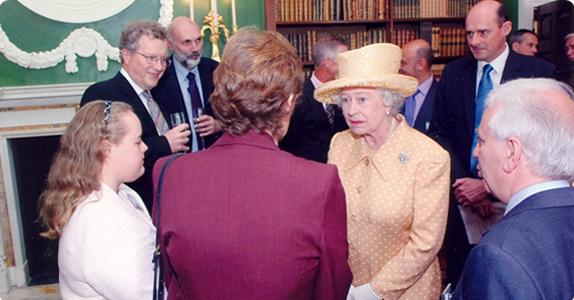 Outings: We have had a variety of different outings at the request of our members. We have visited the London Eye, Thorpe Park and Chessington Theme Parks, BBC Television House including lunch at the Rainforest Café. 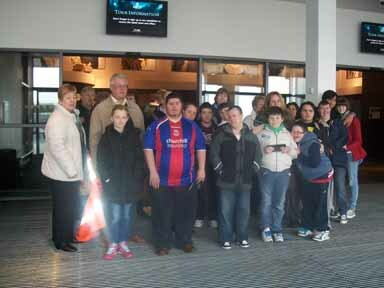 We visited the O2 Tutankhamun Exhibition and in 2010 had a very enjoyable day out at Colchester Zoo. Our older members eagerly look forward to their own Christmas Meal held at a local restaurant in the week before Christmas. They have turkey and all the trimmings and have a very enjoyable evening. 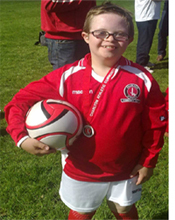 The Charlton Upbeats is a football bespoke programme delivered by the Charlton Athletic Community Trust for young people with Down’s Syndrome aged between 5-24 and held on Saturdays at Charlton’s Sparrows Lane training ground in New Eltham. Our parents enjoyed a relaxing night out at a local venue in Sidcup, which included a live cabaret by an ABBA tribute band. Concentrating on a break for Mums we have been to the theatre and enjoyed a relaxing meal out.